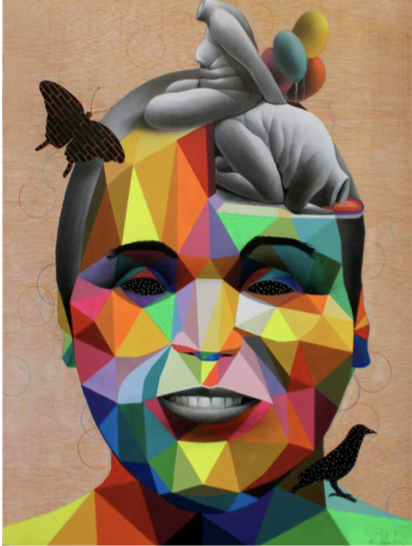 Okuda San Miguel, known as OKUDA, is a street artist based out of Madrid. Since 1997 his pieces have appeared on railroads and abandoned factories around his hometown. 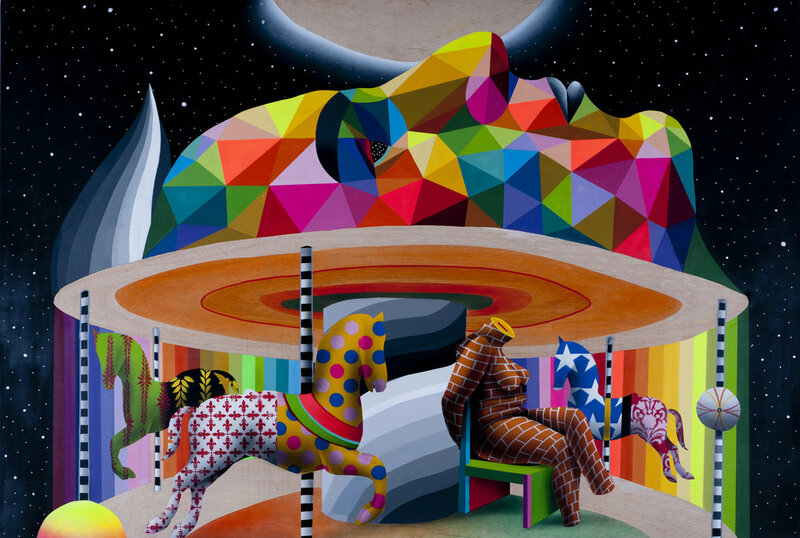 His multicolored geometric structures and patterns are combined with gray bodies and organic forms in artistic pieces that can be categorized as Pop Surrealism, with a clear influence of street forms. His works often raise contradictions about existentialism, the universe, the infinite, the meaning of life, and show a clear conflict between modernity and our roots. His works can be found in the streets and galleries around the world including India, Mali, Mozambique, United States, Japan, South America, South Africa, Mexico and the European continent, among others.